This December 2015 report from Global Financial Integrity, “Illicit Financial Flows from Developing Countries: 2004-2013,” finds that developing and emerging economies lost US$7.8 trillion in illicit financial flows from 2004 through 2013, with illicit outflows increasing at an average rate of 6.5 percent per year—nearly twice as fast as global GDP. This study is GFI’s 2015 annual global update on illicit financial flows from developing economies, and it is the sixth annual update of GFI’s groundbreaking 2008 report, “Illicit Financial Flows from Developing Countries 2002-2006.” This is the first report to include estimates of illicit financial flows from developing countries in 2013—which the study pegs at US$1.1 trillion. US$1.1 trillion flowed illicitly out of developing and emerging economies in 2013, the latest year for which data is available. The illegal capital outflows stem from tax evasion, crime, corruption, and other illicit activity. The report finds that from 2004 to 2013, developing countries lost US$7.8 trillion to illicit outflows. The outflows increased at an average inflation-adjusted rate of 6.5% per year over the decade—significantly outpacing GDP growth. As a percentage of GDP, Sub-Saharan Africa suffered the biggest loss of illicit capital. Illicit outflows from the region averaged 6.1% of GDP annually. 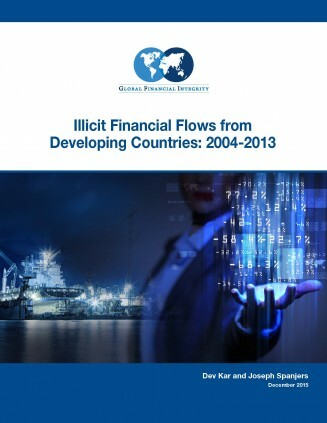 Globally, illicit financial outflows averaged 4.0% of GDP. The fraudulent misinvoicing of trade transactions was revealed to be the largest component of illicit financial flows from developing countries, accounting for 83.4 percent of all illicit flows—highlighting that any effort to significantly curtail illicit financial flows must address trade misinvoicing. The US$1.1 trillion that flowed illicitly out of developing countries in 2013 was greater than the combined total of foreign direct investment (FDI) and net official development assistance (ODA), which these economies received that year. Illicit outflows were roughly 1.3 times the US$858 billion in total FDI, and they were 11.1 times the US$99.3 billion in ODA that these economies received in 2013. China leads the world over the 10-year period with US$1.39 trillion in illicit outflows, followed by Russia, Mexico, India, and Malaysia. China also had the largest illicit outflows of any country in 2013, amounting to a staggering US$258.64 billion in just that one year. The below table ranks all countries by the highest average illicit financial flows over the decade (when data is available). Illicit financial flows from developing countries are largely facilitated by continued opacity in the global financial system. This opacity reveals itself in many well-known ways: tax havens and secrecy jurisdictions, anonymous trusts and shell companies, bribery, and corruption. There are countless techniques to launder dirty money, including the misinvoicing of trade (TBML in this context), which is used to shift proceeds of criminal activity across national borders. Though policy environments vary from country to country, there are best practices that all countries should adopt and promote at international and regional forums and institutions, including the G20, the G8, the United Nations, the World Bank, the IMF, the OECD, and the African Union. This section highlights those best practices and suggests further steps domestic and international regulators could take to curtail illicit financial flows. Despite good intentions and good policy, actually stopping money laundering often comes down to enforcement. Regulators and law enforcement officials must strongly enforce all anti-money laundering laws and regulations already on the books. This includes prosecuting criminal charges against and imposing appropriate penalties upon employees of financial intuitions who are culpable of allowing money laundering to occur. Countries and international institutions should require or support meaningful confirmation of beneficial ownership in all banking and securities accounts in order to address the problems posed by anonymous companies and other legal entities. Information on the ultimate, true, human owner(s) of all corporations and other legal entities should be disclosed upon formation, updated regularly, and made freely available to the public in central registries. In 2015, the European Union adopted legislation requiring each EU Member State to create registers of beneficial ownership information by May 2017 that are freely accessible by law enforcement authorities and financial institutions, and available to third parties that can demonstrate a legitimate interest in the information. Nothing prevents EU Member states from creating entirely open registries, however, and a few countries both within and outside the EU have already committed to doing so, including the UK, Denmark, Norway and the Ukraine. However, progress by G20 countries towards meeting their High Level Principles on Beneficial Ownership Transparency (adopted by the G20 in November 2014) has been poor.29 There are indications that other countries, especially those seeking the return of stolen assets, now recognize the negative impacts of anonymous companies as well. GFI urges countries to commit to the creation of public registries of corporate beneficial ownership information and to engage with countries already in the process of implementing public registers to learn from their challenges and successes. All countries should actively participate in the G20 and OECD-endorsed global movement toward the automatic exchange of financial information. Ninety-six countries have committed to implementing the OECD/G20 standard by the end of 2018, which represents some progress from this time last year, when 89 countries had committed. The OECD and G20 must ensure that developing countries, and especially the least developed countries, are able to participate in the process, even if that requires providing them with the necessary technical assistance. legislators alone will not have enough qualified people to adequately analyze the information necessary to make informed policy changes, publicly available country-by-country reporting will also allow experts from academia, civil society and the media to lend their analytical support to the problem. Trade misinvoicing accounts for a substantial majority of illicit flows over the time period of this study, averaging 83.4 percent of IFFs or US$654.7 billion per year. Curbing trade misinvoicing must necessarily be a major focus for policymakers around the world. Governments should significantly boost customs enforcement by providing appropriate training and equipment to better detect the intentional misinvoicing of trade transactions. 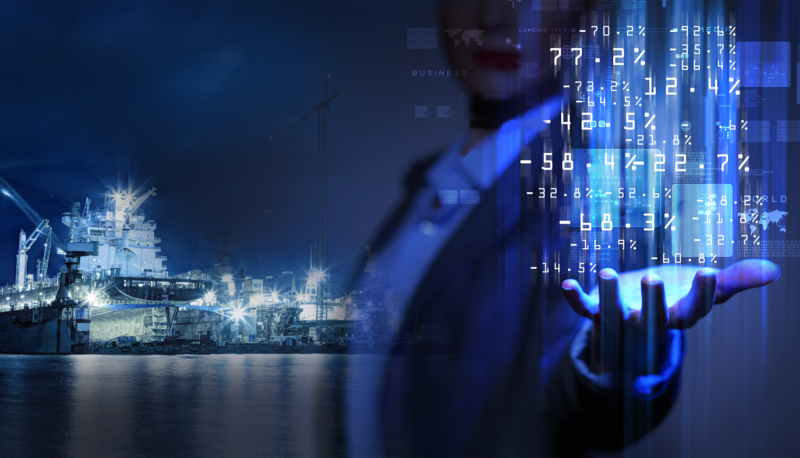 One particularly important tool for stopping trade misinvoicing as it happens is access to realtime, commodity-level world market pricing information. This would allow customs officials to tell whether a good is significantly under- or over-priced in comparison to its prevailing world market norm price. This variance could then trigger an audit or another form of further review for the transaction. for each country and then, over the longer-term, provide an indication of progress toward curtailing illicit flows. Without a baseline and annual assessments, it is unclear how it could be determined if the international community’s vision of significantly reduced illicit flows has been achieved. At the time of writing, the negotiations on this indicator have not reached a point where it can be determined if this level of tracking will be attempted or if it will be done so by a qualified international body. ATI can move to implementation. The authors wish to thank and acknowledge Raymond Baker (President), Tom Cardamone (Managing Director), Christine Clough (Program Manager), Madeleine Fein (Economics Intern), Matthieu Rouyer (Economics Intern), and Matthew Salomon (Senior Economist) for their contributions to the production of this report.